SAP Business Planning and Consolidation (BPC) is a tool that’s used to support all operational and financial activities in an organization. It also helps in automating and streamlining business forecast, planning, and consolidation activities in an organization. 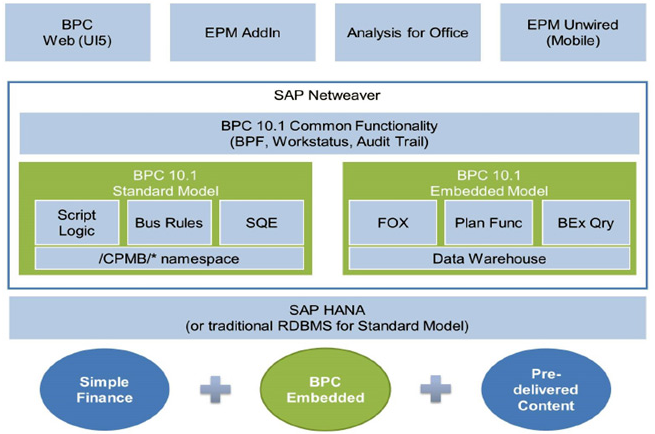 SAP had released a two versions for BPC 10.1; they are BPC 10.1 Classic and BPC 10.1 Embedded. The Classic version can be considered an extension of previous versions in the BPC family, and can be used to implement both planning and consolidations solutions. 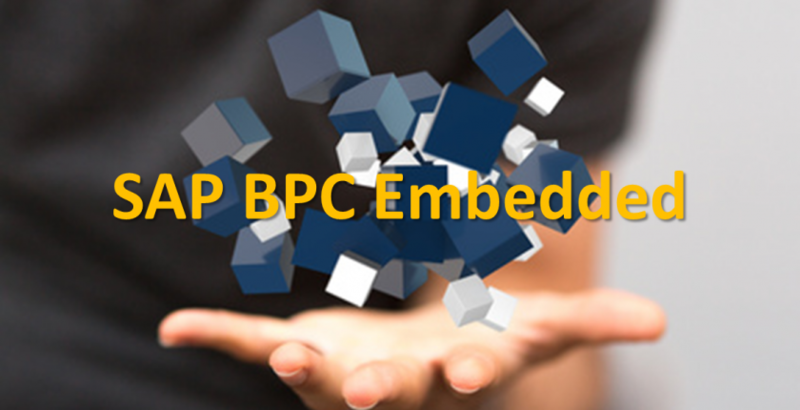 The Embedded version utilizes Integrated Planning and BPC features, and is designed for planning only. Integrated Planning (IP) is a planning tool introduced by SAP before BPC came into effect. Master and Transactional data must be loaded to the BPC system. Source data can be loaded either from SAP Business Warehouse (BW) or from other external systems, such as flat files. Unlike the classic version, the embedded version uses the SAP Business Warehouse (BW) system directly, so we don’t need to add another layer of data loads for our project implementations. In addition to using the predefined scripts provided by SAP (e.g., Copy and Allocations), we can develop custom code to perform calculations using the Logic Script component. This version also provides a few predefined functions, but custom code must be developed using the FOX (Formula Extension) component. Input schedules and reports are developed using the EPM Excel Interface. Schedules are used to develop templates which allow users to view and save data to the BPC system, whereas reports are used only to view and analyze data. BEX Query designer is used to developed schedules and reports. The resulting templates are accessed from BPC’s EPM Excel interface and presented to business users. This version uses both SAP BW and BPC system for security configuration. Users are created in the BW system, then granted permissions for objects and data via BPC. Most security features are configured in the SAP BW system directly, including creating users and granting permissions for objects. Data access can be configured in both the BW and BPC systems. Best SAP Embedded BPC Training Provider in Bangalore near Electronic City.